“I really like our current library. 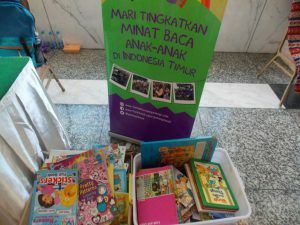 It’s full of attractive story books, and of course the room is colorful!” said Pak Boni, Librarian of SD Inpres Ndona 4. 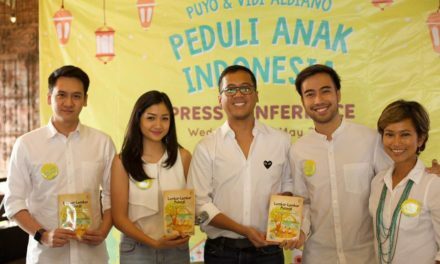 With his strong and loud voice, Pak Boni invite them to find books to borrow. 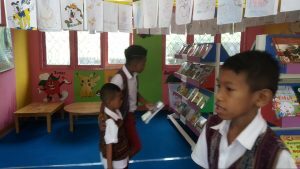 If these little visitors are unsure, often do volunteer students help choose books and write the details of the book on a slip before giving the books and the slip to Pak Boni. Student volunteers at SD Inpres Ndona 4 are also very helpful in assisting the book checkout procedures. When students want to return a book, Pak Boni asks them to sit and wait for the call. As they are called, student volunteers swiftly show them where they can put the books. 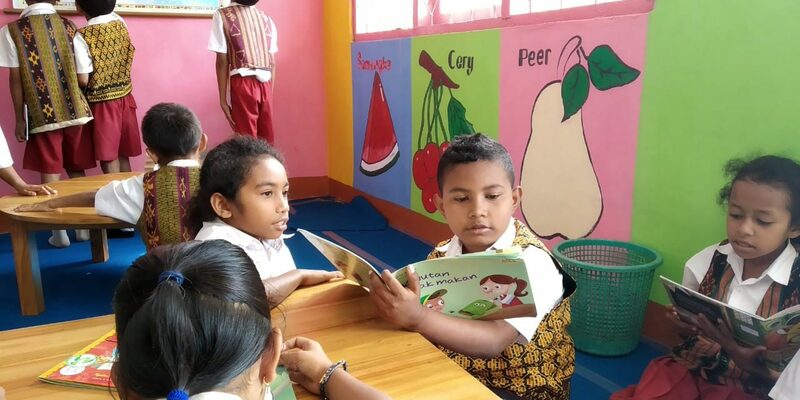 The four reading activities from the Room to Read, adopted by Rainbow Reading Gardens, such as Reading Aloud, Shared Reading, Paired Reading and Independent Reading Mandiri were shared to all partner schools of Rainbow Reading Gardens during the Library Period Workshop. 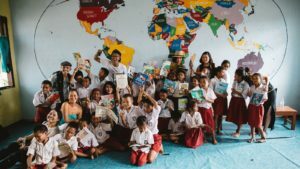 These reading activities were carried out to support the National Literacy Movement that has resonated in Indonesia. SD Inpres Ndona 4 has conducted four reading activities excellently since the library was inaugurated in September 2018. 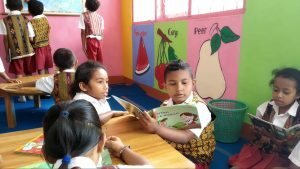 After teaching the library routines (teaching students about library rules, book levels, book checkout procedures and how to take care of book), the four reading activities are conducted. 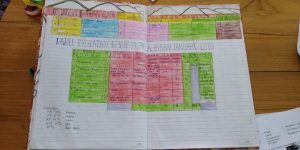 All of these reading activities are carried out by each homeroom teacher to their students on the scheduled library period each week. The homeroom teacher will fill in the teacher’s attendance on the Reading Activity Registry which lists the name of the teacher, the class, the number of students and of course the reading activity that has been carried out, along with the title of the book read (specifically for Reading Aloud and Shared Reading) Everything should be recorded in the Reading Activity Registry. Pak Boni also always reminds every teacher during library period. 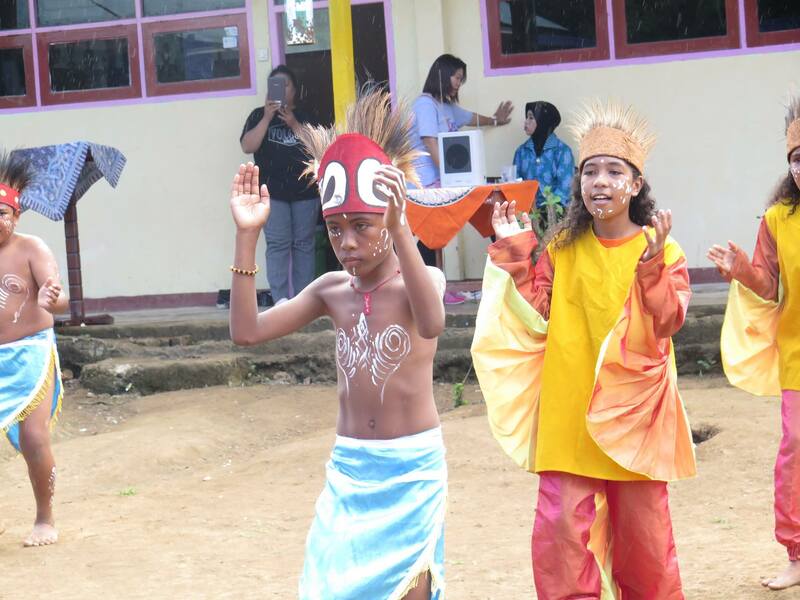 In fact, Pak Boni also decorates the Reading Activity Registry with cheerful colors like the rainbow. 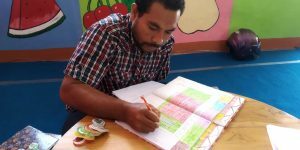 At the end of each month, Pak Boni also calculates the number of reading activities carried out by the teacher and calculates the percentage of success of reading activities. 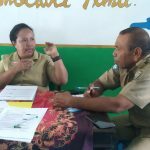 “I am very happy doing this (decorating the Reading Activity Registry), so that I can get my spirit boosted and the teachers conduct the reading activity with greater enthusiasm,” said Pak Boni who laughed in his loud voice.